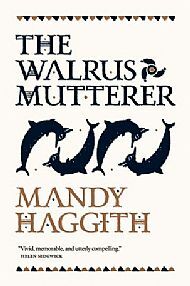 I'll be rea ding from The Walrus Mutterer at Blackwell's Edinburgh Festival fringe event on Thursday 9 August 2018 at 6pm. Come along for a signed copy, or just to find out about the story of Pytheas and his amazing Iron Age journey to these parts. I'll also be doing an event in Glasgow Botanical Gardens on Wednesday 29 August 2018. Most likely poetry-related, with a tree flavour. Over the next year, my tree poetry project, A-B-Tree, will be getting a new lease of life thanks to a Research Scholarship at the University of the Highlands and Islands, Inverness College and the Scottish School of Forestry. Watch out for a new digital basket of tree lore and a 'forest of tweets'.